We provide man and van hire Gosport, house removal services Gosport and storage facilities Gosport. 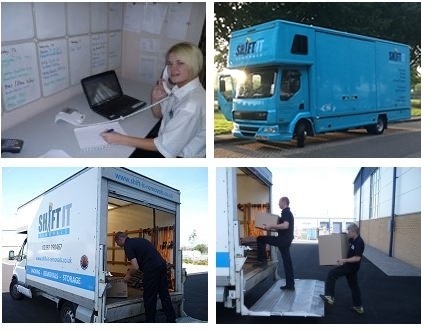 Shift It Removals offers a professional and courteous man and van service to domestic and commercial clients alike. Based in Gosport between Portsmouth and Southampton, we are ideally located to service all of your man and van requirements. From smaller loads locally, to a UK and European collection and delivery service or small house move, Shift It Removals Gosport are big enough to manage and meet your specific requirements and small enough to care about each individual customer. All of our staff are uniformed and have undertaken a Criminal Records Bureau check (CRB) so that you can rest assured that your belongings are in good honest hands. Shift It Removals Gosport are fully insured with £10,000 goods in transit insurance and £1,000,000 public liability insurance. Copies are available on request. We provide our services 24 hours a day, 7 days a week so we can guarantee to meet your requirements, no matter how short notice. We also offer a money back guarantee should we not arrive on time (details are available on request). For our man and van service we charge by the hour, with a minimum of 4 hours being charged, so why not book our services for a morning or afternoon? Charges for van hire / man and van hire will be based on number of hours (minimum 4) from arrival to departure from drop off point. Shift It Van Hire and Man and Van Hire base prices cover Gosport in Hampshire as well as all areas local to this; ie. all areas in the PO and SO postcodes. We are also able to provide our van hire / man and van service outside of these areas but will need to give you an individual quote. These prices are not valid for the Isle of Wight, which will be subject to additional charges to cover ferry crossing. We can also offer a combined man and van and storage option, providing storage from 50 square feet upwards, in fire and security protected facilities in Portsmouth and Southampton. Shift It Removals are pleased to say that we have undertaken a number of removal contracts recently for the Housing Division of Gosport council. We are always able to react at short notice, don't take up-front deposits, and will not charge in the event of a last minute cancellation. We are always prepared to travel through out the UK and Europe where required. We recently delivered household goods to a gentleman who had moved from Gosport to Glasgow. This involved a very early start! But we were able to unload everything in 2 hours, which just left the return trip of 450 miles to negotiate in a 7.5 tonne lorry limited to 56 miles an hour! A long trip but at least we had plenty of time to get over the unloading! Got to stay at Gretna Green services on the way back but decided against getting married. We recently moved a children's play house from a domestic property in Lee on the Solent to a pre-school centre just down the road. Having all of our staff CRB checked we are able to provide our customers with complete peace of mind when working in environments with vulnerable persons. The job was completed in a short space of time and I hope that the children have hours of fun, especially when it warms up. We have been busy recently undertaking office moves for local companies. These moves can always be difficult and require good planning, so as to minimise the down time of a busy office. Shift It Removals therefore offer office moves overnight or at weekends so that your business suffers as a little disruption as possible. We provide a full PC packing service if required, and dismantle desks and other furniture where required, assembling it again at the other end to ease the pressure on you. With today's health and safety issues just bringing in a specialist company so that your staff do not have to get involved can take a great deal of pressure away from office managers. Last minute moves seem to be the order of the day with shorter and shorter notice being given for the big day. This applies whether you're buying and selling a house, moving into or out of rented accommodation or doing a council swap. Why this is I just don't know, but what I do know is that Shift It Removals will do everything we can to make sure that your relocation goes as smoothly as possible even at minimal notice. We can supply teams throughout the week and at weekends as well, including Sundays. So if you need us to move your house, your office or just a single item of furniture give Shift It Removals a call. 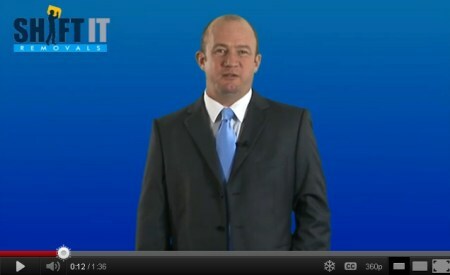 I just want to say that the service you provided, especially at such short notice, was excellent. Your two guys, James and Luke , could not have been more helpful and were efficient, hard working and charming throughout the day. It was a pleasure to use shift it and all I can say is that I will definitely be using you again and I would happily recommend you to anyone requiring your kind of services. Thank you for taking the stress and other problems away from moving.the guys at shift it were extremely professional from start to finish. polite and courteous through out,and Phil gave us an extremely competitive quote and again was polite,punctual and professional throughout. Many thanks and highly recommended. Dear Hannah, I would commend without reservation the attitude, friendliness and work ethic of the two guys who carried out my move on Saturday. Given they had already completed a job Guildford, their enthusiasm to please was all the more impressive. More generally, especially given the late notice of my request, I considered Philip Smale's flexibility, commitment and communication to be first class. As you might be able to tell, I had a very good experience with Shift it Removals and will not hesitate to use you again or to recommend you to my friends.